Many businesses go through the motions of their life and never consider the need for a specific digital strategy. This is a big mistake. We’ve outlined 10 basic reasons why a digital strategy is necessary for your brand. These are 10 problems that your brand can side step on the race to success. In a world where the majority of business is handled in the digital sphere, a digital strategy is necessary. Making sure that you have a digital strategy should be the first step in taking your brand online. However, many businesses choose not to consider their strategy first. Research has shown that only 49% of businesses have a digital strategy in place. This means that almost half of all businesses are looking to succeed with no digital strategy in place. Not having a digital strategy in place can create a number of complications for your business, a fact that almost half of all businesses are dealing with daily. The fear of having to create a huge report to be able to start your digital strategy has many businesses shying away from moving into the digital world altogether. However, lean team planning is usually the best tactic when first creating your digital strategy. Another challenge that may keep you away from creating a digital strategy is simply the sheer enormity of digital marketing. In actuality, your business doesn’t need to focus on every aspect of digital marketing, at least not right away. Your brand will need to define your own specific tactics that are important to your success. These tactics can then be evaluated and prioritized. Your digital strategy will then feel much more manageable. If you don’t have a digital strategy yet and have felt too intimidated by the challenges of creating one, here are ten reasons why you simply cannot do without one any longer. It is often the case that companies without a digital strategy are also missing a clear goal for what they want their online presence to achieve. When you have an online presence you need to consider what you want it to do for you. This can be in terms of gaining new customers or even just building a deeper connection with your existing customers. If you haven’t thought out your goals, then you most likely haven’t allocated your resources appropriately into achieving them. This will leave you floundering instead of succeeding. If you haven’t researched your audience, then you won’t know what the demand is for your online services. This is particularly important because the odds will be pretty good that you won’t understand your online marketplace where you will have different types of customers, competitors, propositions, and communication tools. There are many different options available from the main digital platforms where you can find out the level of customer demand. Doing a little search-gap analyzing using Google’s Keyword Planner is a great way to see if you are attracting the customers that you’re looking for, and finding out the intent of searchers. If you aren’t spending any time on your digital strategy, your returns will show it. Your competitors who have already fleshed out their digital strategy will be gaining the market share while your customers can’t find you and quickly forget about your brand. Your online value proposition is where you tailor your brand to the different target customers you’re looking to engage with. It will help you to differentiate your online service so that you can encourage existing and new customers to initially engage and then to stay loyal. A content marketing strategy will be key for this because your content is what your audience will find when they search for you, and it is your content that will make them sign up for your email marketing. Google Analytics can only tell you so much about your customers. It can tell you about the number of visits, but it won’t tell you what your visitors think when they visit your site. You will need other tools to get user feedback and identify the weak points in your website and address them in your digital strategy. 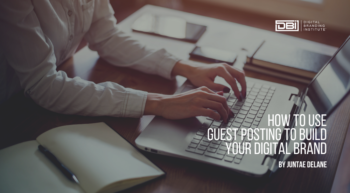 While it may be easy for you to put your digital marketing activities off to one side and with one specific person, it’s just not as effective. If you want your digital marketing to work for you, you won’t be able to just package it away into one chunk. Digital media works best when it is integrated, usually into your traditional media and response channels. It is recommended that you develop an integrated digital marketing strategy. When your digital transformation is completely a part of your digital marketing activities, then it will be a part of your marketing activities and be business as usual. Your digital strategy will be an insufficient resource if you aren’t devoted to planning and executing your digital marketing. You need to watch out because you’ll most likely be lacking specific specialist online marketing skills. Without these skills, it will be difficult for your brand to respond to any competitive threats in an effective manner. Without a digital strategy, even if you have the right amount of resources, they may be going to waste. This especially true if you are a larger company. A lack of digital strategy will find different parts of your marketing organization purchasing different tools, using different agencies, and dual spending on similar tasks that could have been handled by just one of the used options. Having a digital strategy can allow you to try out new approaches to gain or keep your online audience. Top brands like Amazon, Google, Tesco, Zappos, and Dell are all dynamic. They continue to trial new ways to reach out to the online community. 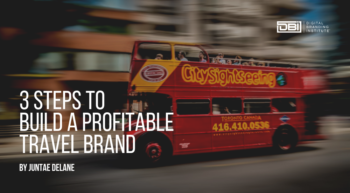 While you may not be as big as these companies, with an online strategy, you’ll be able to try out new approaches on a smaller scale and find what works best for your brand. Having a company website typically means that you will have analytics. However, many managers don’t make sure that their teams are taking the time to review and act on the results. Once your strategy enables you to get the basics just right, you’ll be able to use them to progress in a continuous improvement of the key aspects of your digital strategy. These may be search marketing, email marketing, site user experience, and social media marketing. Through optimization, you can hit all of these key aspects and then expound upon them to really make them work for your brand. If you’re one of the companies who doesn’t have a digital strategy yet or is looking to change up your strategy, now is the time to create a plan to move forward. Set up a separate digital marketing plan where you have defined the transformation you’re looking to make. Then make the case for the investment changes you’ll need for your digital marketing. Once you have approval for your plan, create a new integrated digital plan which will be part of your overall marketing plan. Your digital plan will eventually become fully aligned and be business as usual. People are still using digital marketing without a strategic approach. These brands can still be using digital media effectively and getting great results from their searches and social media marketing, however, many of these brands are still missing out on opportunities for better targeting and optimization. They are also most likely suffering from one or all of the ten reasons listed above. The majority of companies do actually take a strategic approach to their digital marketing. However, the creation of their digital strategy is divided into two parts. First, they will create a separate digital marketing plan. This is a useful way to get an agreement by showing the opportunities and problems that can be avoided by mapping out a path and setting specific goals and strategies for your digital marketing. Second, the digital marketing becomes integrated into the main marketing strategy. This is a business-as-usual approach that doesn’t usually warrant separate planning. Avoid the problems that these businesses will go through by creating a digital strategy for your brand. It is a given that your brand will have an online presence. That’s just the world we’re living in. However, don’t let your brand become one of the many lost in the space of the internet because of a lack of digital strategy. Figure out exactly what you want from your online presence to make sure that you have an accurate and successful digital strategy. Have you made a digital strategy before?